All the chicest shades for your home. Remember the playground days of kids asking you what your favorite color was? Well, that’s a constantly evolving answer for interior designers. 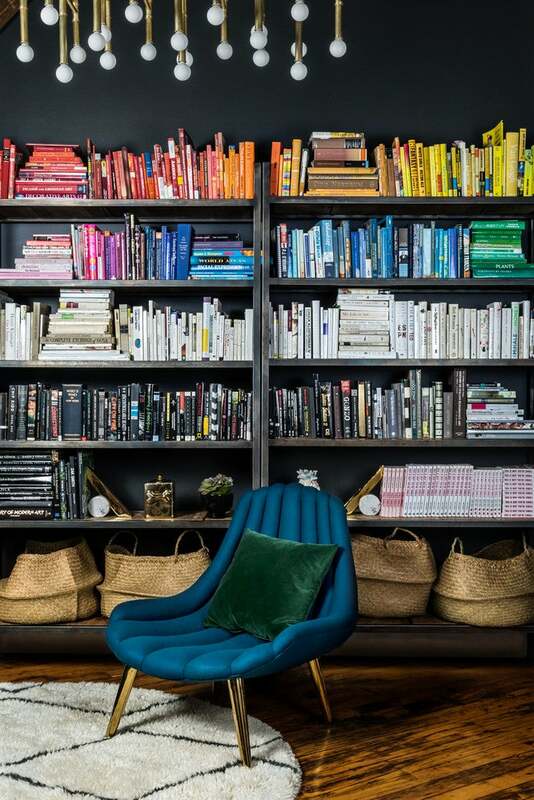 With new trends, paint colors, unique color combinations, and lust-worthy palettes, color is the one aspect that can totally transform a space. So, at the risk of sounding like that kid on the playground, we asked a few of our favorite designers what their favorite color for decor is…at least for right now. With an entire rainbow of options to choose from, these are the shades designers want to see more of. Unsurprisingly, their answers are right on the pulse of the latest color trends. Take notes. Keeping aligned with this 2019’s PPG Color of the Year, designer Sarah Whittenbraker is currently loving deep, dramatic hues of saturated blues and greens. With endless tonal variations, the blue green color combo creates a moody, serene scene in any living or bedroom. Joy Cho of Oh Joy! is also currently feeling shades of green. While the millennial pink trend has had its day, we’re totally here for the slew of fresh pastels that are fueling our social feeds. Shavonda Gardner of SG Style Blog is loving lilac, as is designer Jacquelyn Clark, who says “I’m really into the soft purple hues right now.” And if lilac still feels a bit too juvenile for you, Claire Zinnecker recommends french lavender grey, which is similar, but a bit more neutral and toned down. Muted tones of sienna or chalky gray/blues are a favorite of Heather Bullard, while New York-based designer Robin WIlsonraves about a specific Behr shade called Drizzle. “I have seen it in a lot of properties that are staged for re-sale and it is a great neutral that allows the white to pop,” she says. The muted tone is a tranquil color that will make your space feel decidedly peaceful. Add a little sunshine to your decor with shades of yellow. According to Stephanie Watkins of Casa Watkins Living, vibrant yellows are the way to go. “I think people are afraid to use it more but it makes any space sunny,” she says. “And who can be mad in a sunny space? !” Meanwhile, designer Katrina Blair is currently feeling adding chartreuse to her spaces for a little extra dose of happy and a fun pop of brightness that doesn’t feel overwhelming. 2018 is all about embracing this ultra bold, moody shade (three paint companies named it the color of the year) and Amber Lewis is on-board with the dark trend. If you’re feeling overwhelmed by the idea of adding black paint to a room, try grounding your design with some black accents—lights, seating, or a chic accent wall are good ways to ease into the idea of fading to black.